Corky Staats and Carl Hagstrom will be presenting a concert of acoustic guitar music open to the public on Thursday, Sept. 27, 7 p.m., at the First Presbyterian Church, Church St. Montrose. Staats is from Montrose and has been writing songs and performing for over 30 years. His music reflects life experiences, as well as songs of the out of doors. Carl Hagstrom is also a singer-songwriter playing his unique five finger picking style on his handcrafted guitar. Both have performed in various groups, including the Endless Mountains Trio. Although the concert was originally billed as the Endless Mountains Trio, due to circumstances beyond their control, the third member of the trio is not available. The concert is being hosted by the Montrose Area Adult School. A $5 fee is suggested, register with the Adult School or tickets will be available at the door. Proceeds to benefit the Montrose Area Adult School. 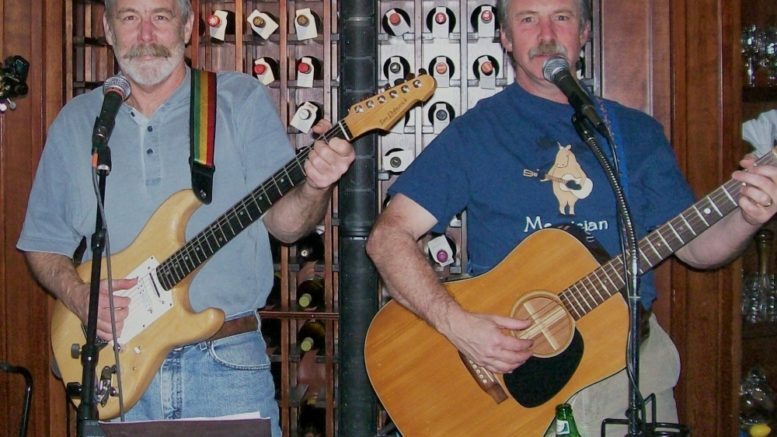 Corky and Carl promise an evening of enjoyable music and the stories behind the songs. Be the first to comment on "Acoustic duo to perform in concert"